Understand why the Lawler Group's headhunters appreciate passive candidates for executive level positions. The competition for qualified executive candidates has never been more intense. There are plenty of potential candidates available for every one of the executive level positions handled by our headhunters, but not all of them are a good fit. In order to find the ideal individual for a particular position, we sometimes pursue passive candidates, moving beyond our own database of individuals who are currently looking for a new position. Some people are baffled by headhunters’ interest in executives who aren’t actively looking for a change, but there are a multitude of reasons why we might turn to passive candidates in order to find the perfect person for the job. When our headhunters talk to a passive candidate, they are generally speaking to someone who is happy in their current position. That is, they are satisfied with what they are currently doing, but that doesn’t mean they won’t consider a new opportunity that presents itself. They know that they can’t afford to pass up an unexpected opportunity if they want to keep moving forward in their career. At the Lawler Group, experience has taught us that the perfect job doesn’t usually open up at the perfect time for the perfect person and savvy job seekers know this. It’s why they will generally talk to headhunters who contact them. Seizing the day is critical. The Lawler Group enjoys speaking to these passive executives because they tend to be less desperate and more objective about any executive level position we’re recruiting for. Because these individuals are already ensconced in their current position, they can afford to carefully consider the potential benefits and drawbacks of considering another offer without making a snap decision based on the need to immediately find any job at any company that will take them. Because of this, our headhunters seldom find that passive candidates regret their decision to move on to new opportunities with new employers. Because these individuals can take the time to carefully consider the positives and negatives of an opportunity without feeling pressured, they almost always make the right decision and are happy in their new executive position. 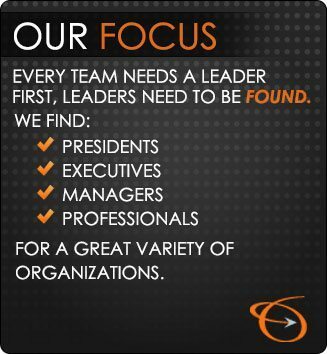 The Lawler Group works tirelessly to fill open executive positions with appropriate candidates. When our headhunters talk to passive candidates, they understand that not all of these professionals will be interested in a new job, but some of them will know of another potential candidate who would be interested. And while an individual might not be interested in the position we’re currently recruiting for, they will keep us in mind for that time when they are ready to begin a job search. They understand that we wouldn’t have approached them if we didn’t think they had what it takes and they’ll look forward to working with us. Any time our headhunters contact a passive candidate they are building our database of qualified leads and adding to our pool of experienced corporate executives. Every contact is an opportunity to network within that industry, maximizing our effectiveness for every company we recruit for and every candidate we place in a new position.